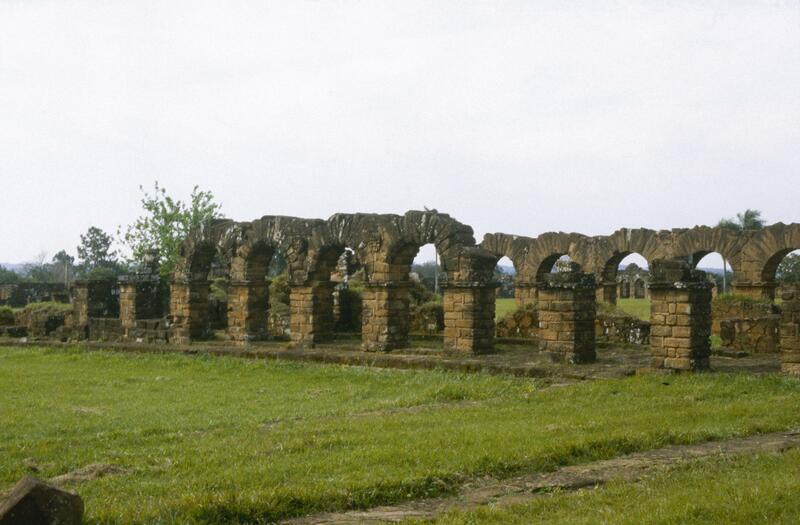 These arches are the ruins of houses built by, and for the Guaraní at the Jesuit mission complex of La Santísima Trinidad, Paraguay. At its height, in the first half of the 18th century, thousands of indigenous people would have called the complex home. The use of ashlar blocks of sandstone is not unique at La Santísma Trinidad. However, this is one of the few mission complexes where a good deal of the original stonework still stands. Today, La Santísima Trinidad is a UNESCO World Heritage Site, so designated because it reveals so well the fusion of Christian and native artistic elements. Bailey, Gauvin. 1999. Art on the Jesuit Missions in Asia and Latin America, 1542-1773. Toronto, Buffalo and London: University of Toronto Press. Bayón, Damián and Murillo Marx. 1989. Historia del arte colonial sudamericano: Sudamérica Hispana y el Brasil. Barcelona: Ediciones Polígrafa. Bayón, Damián and Murillo Marx. 1992. History of South American Colonial Art and Architecture. Barcelona: Ediciones Polígrafa. Plá, Josefina. 1976. El barroco hispano-guaraní. Washington, D.C.: Organization of American States. Plá, Josefina. 1976. The Hispano-Guaraní Baroque. Washington, D.C.: Organization of American States. UNESCO. 1992. 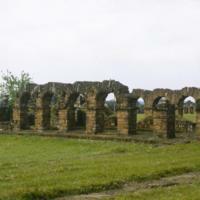 Jesuit Missions of Paraguay.World Heritage Advisory Body Documentation.